Come to Hogshead brewing on the last Thursday of the month and get a free beer with a wax. Get just one pass, or get a bunch! The more you buy, the more you save. Hoard them all for yourself, or spread the love around! 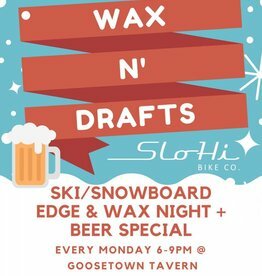 Every Monday from 6 to 9 pm, bring your skis and snowboards to Goosetown Tavern for a $30 edge deburr and wax. We'll be playing films and the bar will have a beer special for you! No reservations or advance purchase required, just drop by! On the last Thursday of each month, from 6 to 10 pm, a pass gets you an all-temp hot wax and a 20oz Proper Pint! 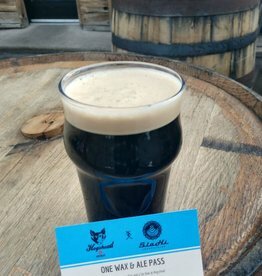 Buy a single pass, or get a 5-pack for maximum savings!